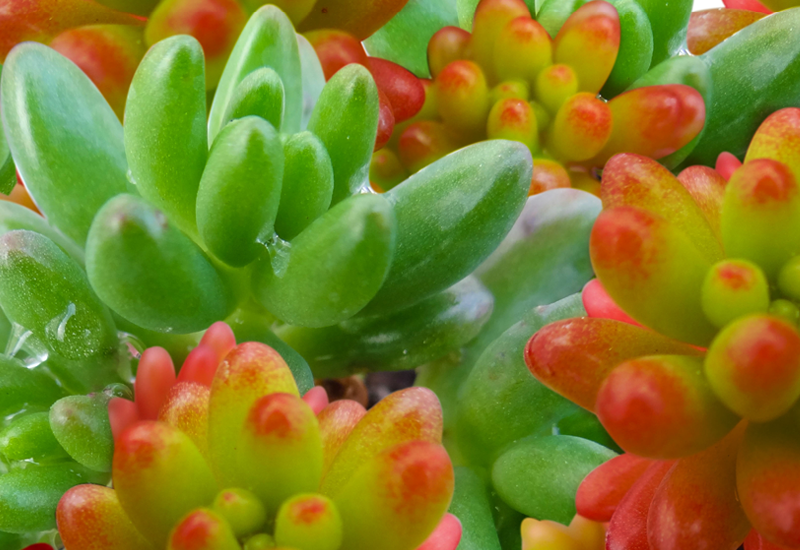 Sedum Jelly Beans is a fun and exciting choice for pots. Available in a range of beautiful and bright colours including green, red, pink, blue and everything in between. Clusters of bean leaves adding that bit of whimsy to your design. Pop them in full sun in a well drained soil and water sparingly.